To celebrate Bob Dylan's return to Spotify, I compiled a chronological playlist of songs written by the master, after renowned Dylanlogist Clinton Heylin's two volume companion to every Dylan song from 1957 to 2006: Revolution In The Air and Still On The Road. Mostly I use Dylan's studio takes for the playlist, with a few live recordings/demos from the official bootleg series, like It's All Over Now Baby Blue & Visions of Johanna from the "Royal Albert Hall" Concert, and a studio outtake of Born In Time - like the other dozen or so outtakes of this song circulating among bootleggers, it sounds vastly superior to the version appeared on the album. Heylin's list ends at 2006, I also included the 2009 album Together Through Life and The Love That Faded from 2011's The Lost Notebooks of Hank Williams. Please note no covers are included here - though Dylan's two recordings of traditional folk songs from the early 1990s are up there with Cash's American Recordings - on the other hand, a few songs performed by other artists are included, like Love Is Just A Four-Letter Word sang by Joan Baez, because Dylan never officially recorded it. 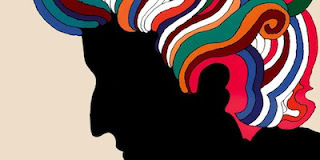 Here's the Spotify playlist: Songs of Bob Dylan: After Clinton Heylin's Chronological List (392 tracks, total time: 30 hours) (CMD)+G to browse in album view. Also check out this awesome blog: Every Bob Dylan Song. I thought most of Bob Dylan's albums weren't on Spotify?? Most of the tracks on this list works for me (I live in Denmark), but when I do a search for the albums they don't appear.